Section 8 Application Florida - How can I apply for rental assistance online? Is a HUD application for Florida the same thing as a Section 8 application for rental assistance? When people make reference to a HUD application, they are actually talking about the Section 8 Housing Choice Voucher Program. HUD is the Federal agency that funds the Section 8 program and other rental assistance programs in Florida. The housing authority is the local office that runs and administers these programs. The PHA also is responsible for distributing vouchers for rental assistance to applicants that have been approved for Section 8. What is the difference between Public Housing and Section 8 rental assistance? Public Housing is a program that also helps to assist a low income tenant with their rent. The difference, is that with Public Housing, a tenant can only live in an apartment complex that is owned by the housing authority. These are called tenant based vouchers. With a Section 8 voucher, the tenant is free to choose their own dwelling and landlord. The housing authority will inspect this dwelling and make sure that it is what they deem to be decent and safe housing. The Section 8 Housing Choice Voucher program is a government subsidized housing assistance program for a low income family or individual. The tenant will pay about 30% of their monthly income for rent. Section 8 will pay for (subsidize) the rest. 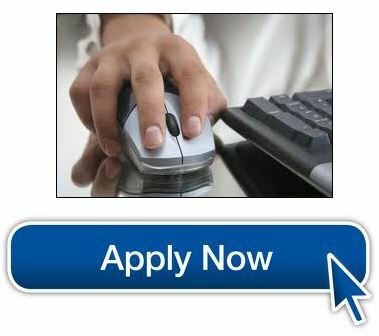 Our Online Packet can assist you in finding applications and apply for HUD online when applications are being accepted. Section8programs.com will help you find the housing authorities online that are accepting applications for Section 8 in Florida and all over the United States. A Section 8 housing application or a low income housing application is always free at your local housing authority if they are accepting applications. The Section 8 and Subsidized Housing Online Packet has no affiliation with HUD, the government or your local housing authority. The housing opportunities offered to all members of the Online Packet are in the form of rental assistance programs, landlords and tenants in the Housing List Blog, which is unique to the Online Packet. Every applicant will have indefinite access to their packet for the purpose of learning about government programs they may also apply for. Rental assistance listings for every U.S. state are also included. The Online Packet has information to educate landlords about various government housing programs and how to become involved in them. We charge a small fee for our research which is consolidated in our Online Packet. We can not guarantee that your housing authority is accepting applications at this time, but we do update our Online Packet each week with this information. When can I apply for Section 8 apply for Section 8 in Jacksonville Florida? It all depends on whether or not the Jacksonville housing authority is accepting applications for Section 8. In order to become a Section 8 landlord, one must first have the necessary inspections by their Housing Authority and has been approved to rent to a Section 8 tenant. The Section 8 program produces renters in every state that need available apartments. By urging section 8 landlords nationwide to participate in government rental assistance programs, and educating them about subsidized housing, the gap between a low income tenant and an independent landlord is being reduced. You can apply for Section 8 by completing a Section 8 application when those applications are being accepted by your local Housing Authority. A person interested enough to become a Section 8 landlord can also benefit from our Online Packet.